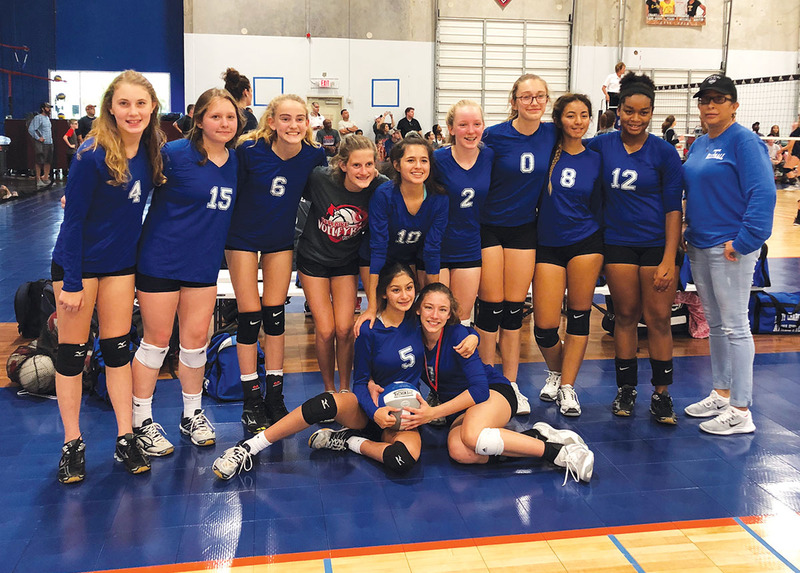 Pin Oak Middle School’s eighth-grade volleyball team (pictured) placed third in the silver bracket at the Bellaire Volleyball Middle School tournament. The girls played hard in a pool of 32 middle school teams, and Vivian Chaney was named most valuable player. Many of the players have been together for five years, and they are all looking forward to trying out for Bellaire High School’s team next year. The teammates are (top row, from left) Kate Brandt, Greta Clement, Alex Moore, Madison Motes, Mia Artega, Mary Sophia Dewhurst, Kinsey Schwartje, Paulina Hernandez, Ashley Anderson and coach Phyllis Fredericks; (bottom row, from left): Victoria Watts and Vivian Chaney.